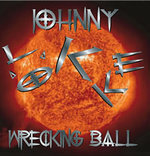 Sign up for Broadjam today to follow Johnny Lokke, and be notified when they upload new stuff or update their news! Fan club giveaway cd. Free download at the above address. 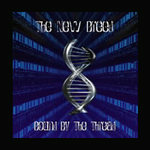 The New Breed is back with their unique style of heavy metal, once again drawing heavy comparisons to Dio, Judas Priest and Iron Maiden. 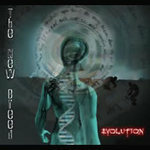 "Evolution", The New Breed's second cd, features vocalist Johnny Lokke, Tim White (from the 90's powerhouse band "Future's Child") on bass and Solomon DeWitt on drums. Sweden's own Robban Ollson also makes a guest appearance, contributing 4 stunning guitar solos. "Evolution" takes you back to where you want to be...back when music had power and melody...back when guitar solos where an important part of every song...in other words, back to the days of classic heavy metal. 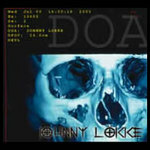 "This is music I love and music I believe in," says Lokke. "I don't like what I hear on the radio today, and the video channels on tv are either playing reality shows or rap music. I do this for people like me who need somewhere to turn." Evolution - The Future of Metal "Evolution" combines influences like Black Sabbath, Dio, Maiden, Megadeth and Priest to deliver 10 hard-hitting songs. "This time I let my influences shine through instead of trying to be completely original. I like what the bands that came before me did, and I just tried to carry on and take it to the next level, thus the title "Evolution". A special treat on this cd is that Robban Ollson contributes 4 amazing solo's to it, including the lead off single "Back to Black". "Robban is a mix of John Petrucci and Michael Schenker, and what he plays is incredible. 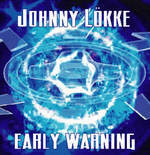 It was great to work with a talent like that," exclaims Lokke. If you have been disappointed by the music scene lately, you owe it to yourself to check out "Evolution". You'll have your fist in the air and a smile on your face from start to finish.